Wireless coil | GH crane and hoist manufacturer. The buttons work like a joystick, with the speed varying proportionally to the movement of the button (stepless). The load is moved very intuitively and with the highest precision. It integrates all the lifting, translation and direction movements of the crane and crab. Higher precision in the hoist. 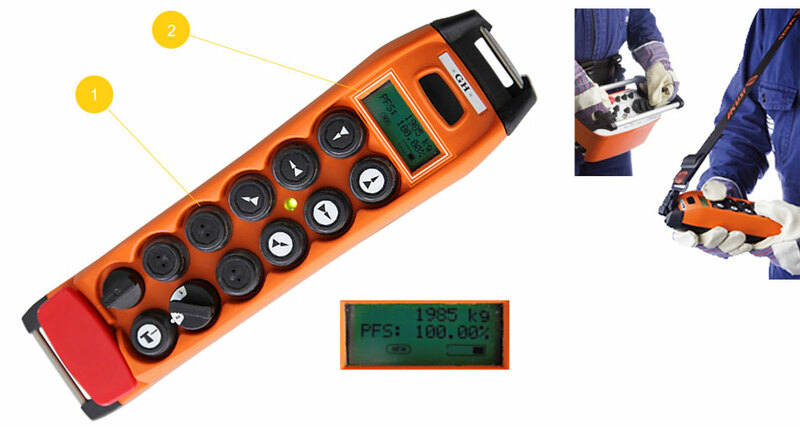 The coil's display gives us control over the crane's safety and functioning.